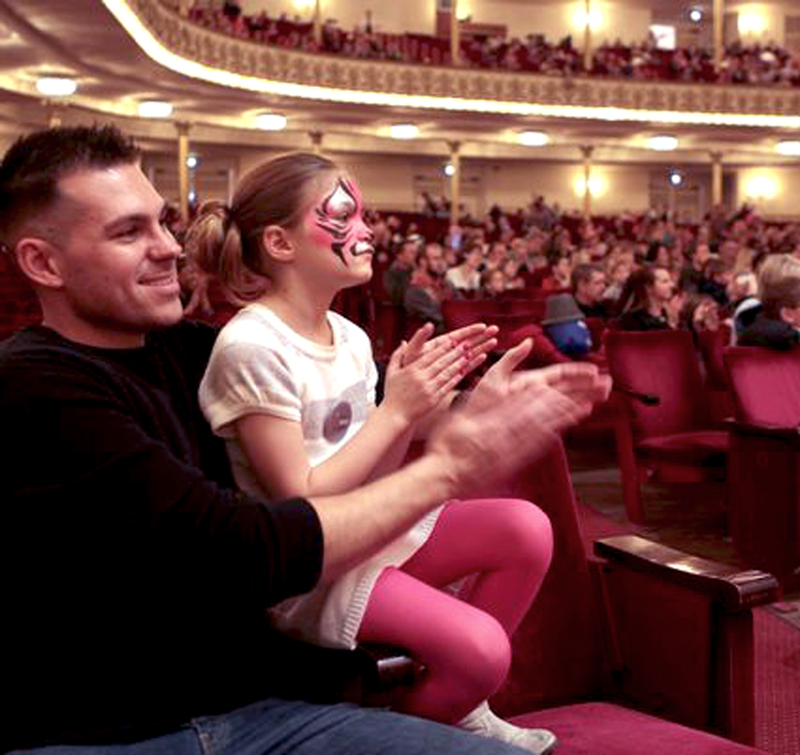 Applause to a fantastic day at the Macy’s Arts Sampler, and applause to our pink tiger with pink tights. What an exciting event to be honored to be a part of Sunday February 29 for the Cincinnati Macy’s Arts Sampler 2016, at the beautiful Cincinnati Music Hall. Rainbow Faces wants to thank all my team members Kelli Pettit of Cheek2Cheek, Lisa Kirk, Rita Miller of Face Painting by Rita, Tuesday and Marie of Face Painting by Tuesday. We couldn’t have asked for a more beautiful venue to perform in. This entry was posted in Recent Events and tagged face painting- Macy's Arts Sampler 2016, Macy's Arts Sampler 2016 on February 29, 2016 by Joyce.